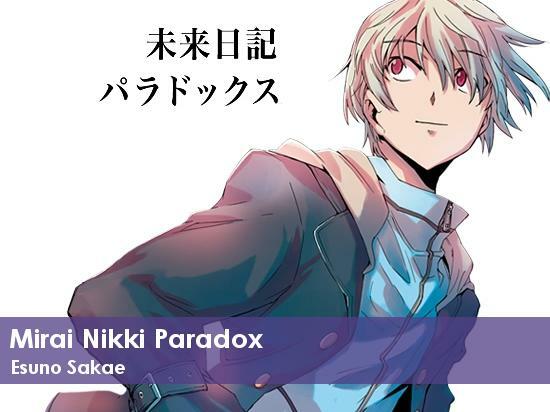 Mirai Nikki Paradox is the second spin-off from Mirai Nikki. While doing a rice cake, Murumuru affects the causality-effect law and Gasai Yuno is gone. Since there’s no one to help him, Amano Yukiteru is severy injured, so Murumuru asks Aru Akise to cover for Yukiteru while she fixes the causality law.